With the TwinPower technology the fluid technology specialist Bürkert has developed a new actuator design for solenoid valves that increases the power density by using two coils. This innovative actuator technology, which allows a very compact design, is now available as a complete standard valve line in widths of 10mm and 16mm, therefore offering more than 1000 possible variants for each width with optimal flexibility in adapting the valves to specific applications. The enhanced TwinPower valves, available in the body materials PEEK and PPS as well as the seal materials FFKM, FKM and EPDM, provide optimal solutions for virtually every medium. For each valve type there are more than 1000 different variants in the widths 10mm and 16mm with different fluidic and electrical connections, such as hose connections, flanged versions and UNF threaded connections. Each single component in the valves was analysed critically during development of the TwinPower series to identify potentials for optimisation. By improving the membrane seal, for example, it was possible to achieve a leakage rate of 10-6mbar*l/min. In addition, the geometry of all the bodies was optimised for improved flushability. The name TwinPower refers to the fact that the new actuator in the Bürkert solenoid valves now uses two coils instead of one. The intelligent interplay of the two coils increases the power density substantially. In comparison with conventional actuator solutions, the TwinPower valves are much more compact without loss of power. This design makes it possible, with reduced width and identical pressure, to double the flow rate of comparable valves with a conventional coil system. In addition to the high power density, the TwinPower technology also enables significant energy savings. 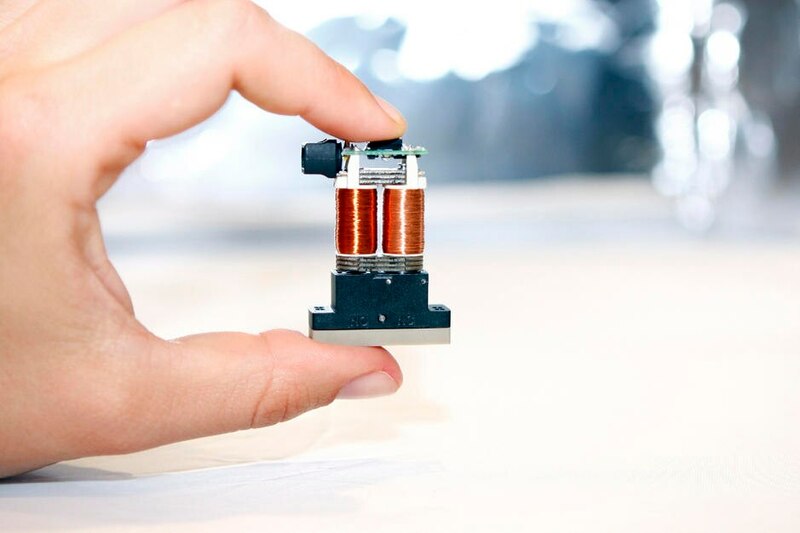 TwinPower valves are equipped with hit-and-hold electronics as a standard feature, which reduces the energy consumption by 75% within 100ms after switching. Bürkert valves with TwinPower technology are therefore ideal for numerous different applications with special requirements for size, reliability, performance and energy efficiency in the fields of clinical diagnosis, life science, medical and analysis technology.